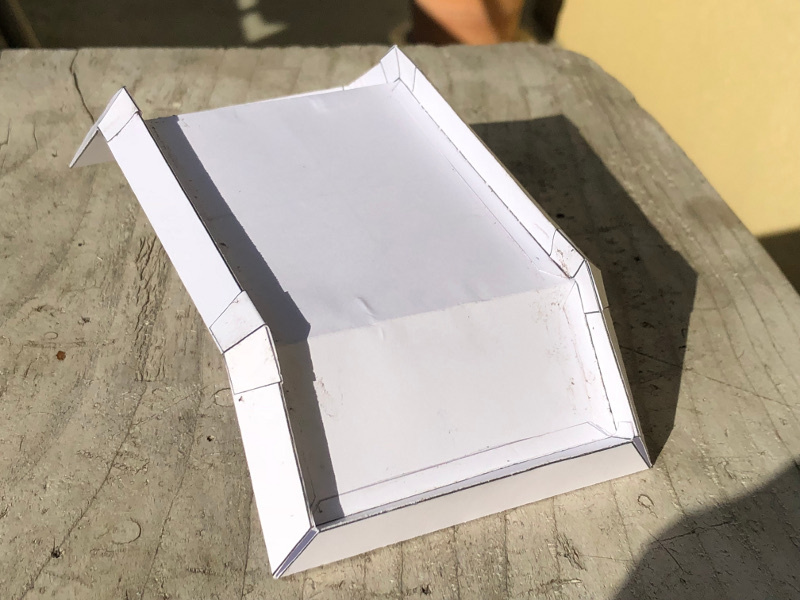 Proving we live on a Globe using only paper, scissors and glue to build an Equinox Sundial. 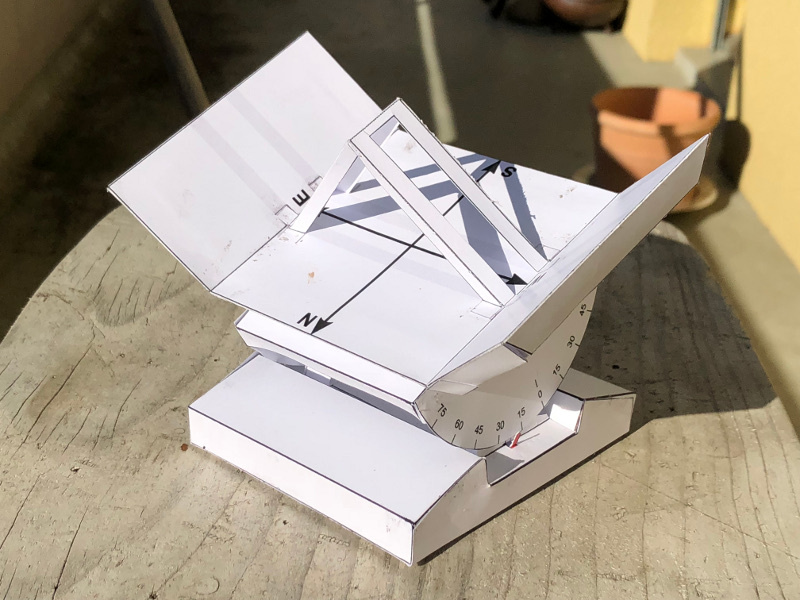 I show in an interactive animation how such a Sundial works everywhere on the Globe and give you the blueprints to build your own Equinox Sundial. Thanks to Wolfie6020 who made a video introducing this page . We can observe that at the Equinox the sun raises everywhere on earth exactly due east and sets everywhere exactly due west. The path of the sun between east and west depends only on Latitude . At the Equator the sun at noon is directly overhead. At other locations the path between east and west is slanted according to the Latitude of the location. While it is obvious how the shadow behaves at the equator, it is not so easy to comprehend anywhere else. The sun is about 150,000,000 km away, so the sun rays come in essentially parallel everywhere on earth. 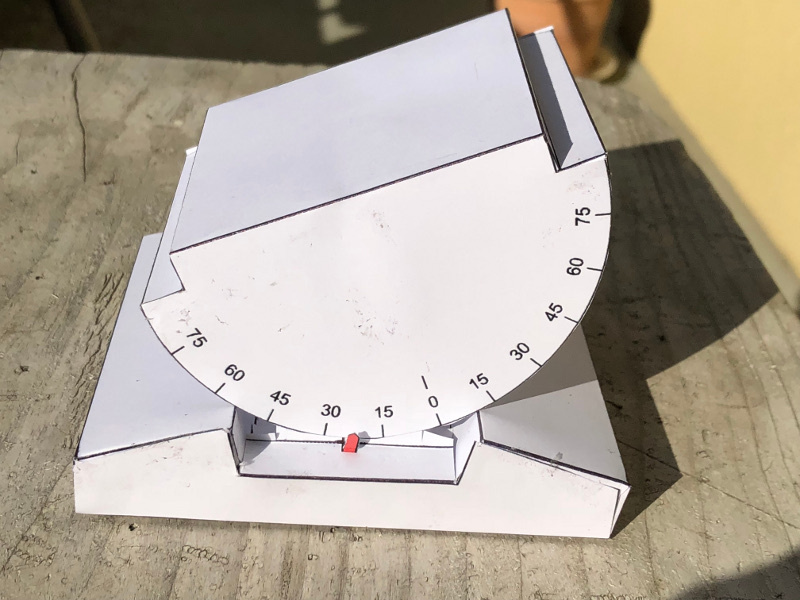 We can transport a sundial from the equator to any location while maintaining its north-south axis parallel to earth axis and keep the surface of the sundial parallel to the surface at the equator at the same longitude. 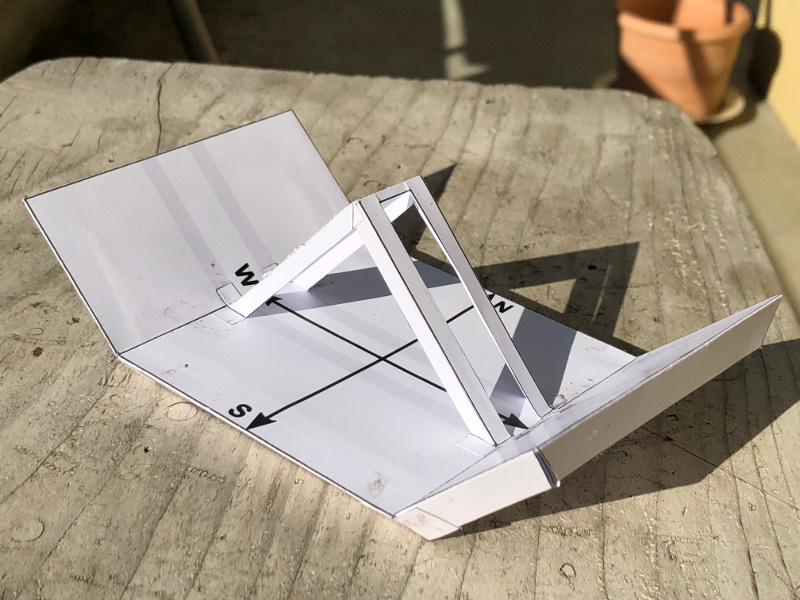 In my sundial model I can do this by tilting the top of the sundial to a degree corresponding to the latitude of the location. In this way the sundial shows everywhere on the same longitude exactly the same shadow. This observation only works on the globe. The following animation visualizes this fact. 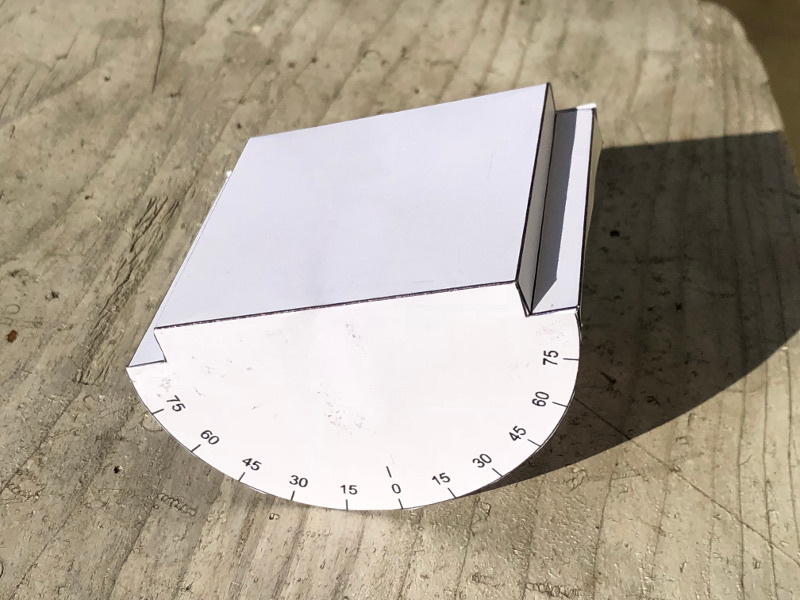 If you move the Latitude slider, the top part of the sundial changes its tilt in such a way, that the red line of the sundial stays parallel to earth's axis. 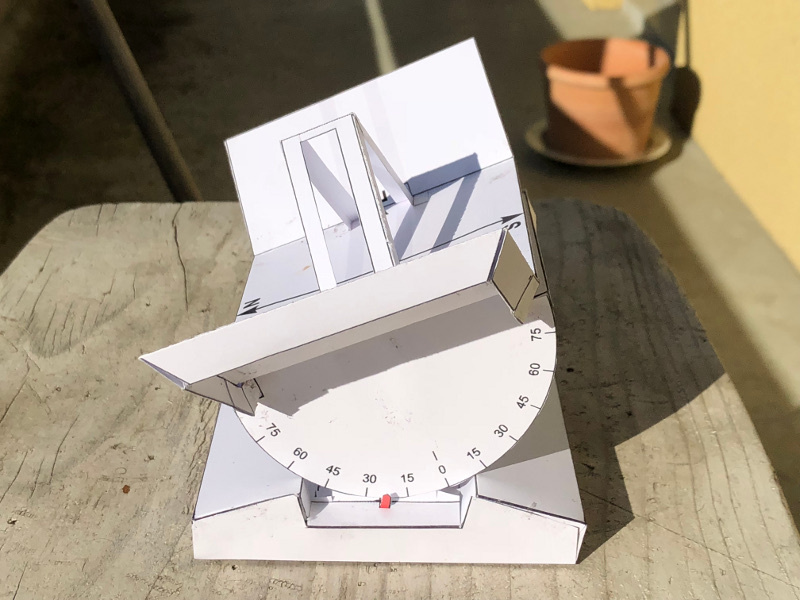 Use the Time slider to change the local time at the location of the sundial and observe how the shadows progress. On the graphic in the top left corner the orange arrow shows the direction of the sunlight as it illuminates the sundial. The Celestial sphere in the top left corner maintains the same orientation as the globe. You can see where the sun is with respect to earth and from which direction the light is cast onto the earth. The orange circle represents the Ecliptic , the apparent path the sun follows during the year. If you change the slider Earth Tilt, you change the month of the year accordingly, so that the sun is below or above the celectial equator. On the equinox the Earth Tilt is 0, so no pole of the earth is tilted towards the sun. The tilt is sideways. 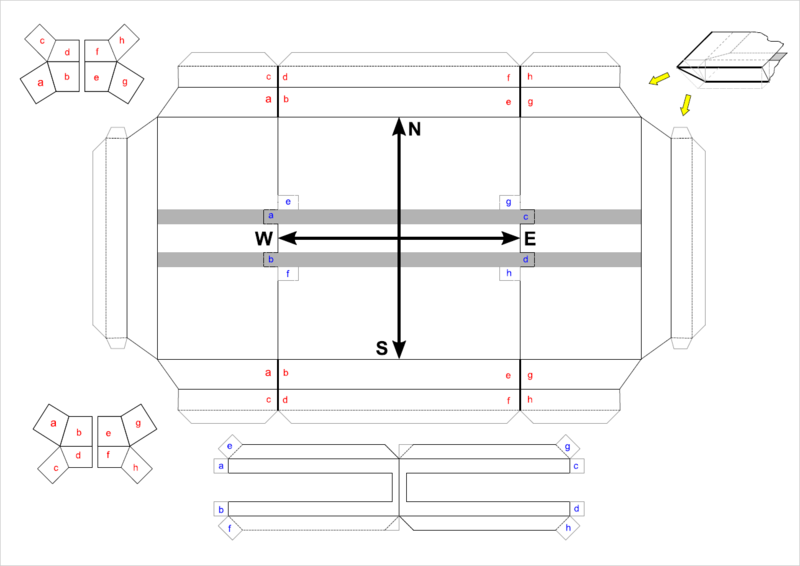 Note: the animation uses an earth fixed coordinate system to keep the sundial in view. So the change in tilt, which corresponds to a change in earth's orbital position, is only visible on the celectial sphere, where the ecliptic rotates accordingly. But you can also see that the shadow of the earth changes as the sun moves on the ecliptic. The sundial is constructed in such a way, that on Equinox the shadows bild exact parallel lines. On each other day the shadow diverts up or down and builds a corner. I made my observations at the 20. Sept. 2018, 3 days before equinox. It shows a slight deviation of the shadow from exactly parallel as expected. The shadows are a little bit off to the bottom, because the sun's path is still a little bit higher than at the equinox. Note: the edge of the sundial is aligned exactly due north. 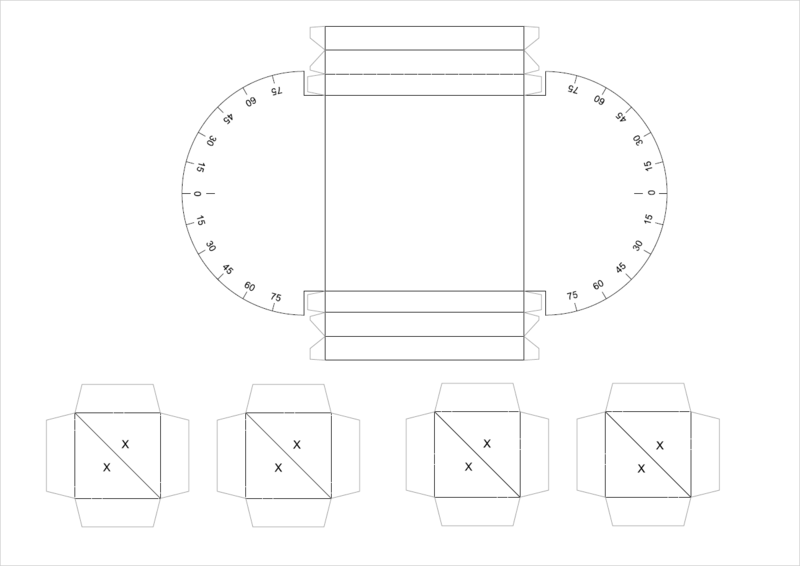 I created the blueprints with Inkscape out of my head after I had an idea of how the sundial sould look like. I designed the sundial as 3 parts: Base, Protractor and Top. 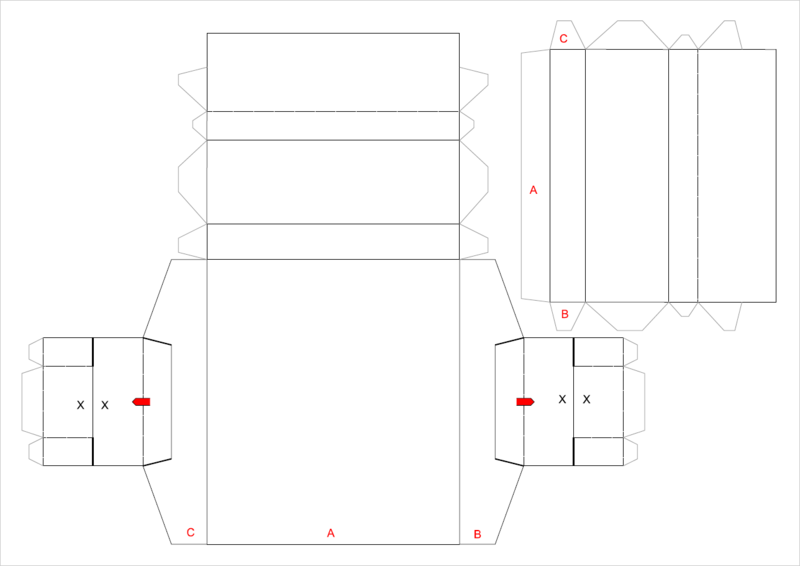 All parts can simply be stacked together, although I glued the Protractor and the Top together. Sundial Blueprints Inkscape svg format: Base, Protractor, Top. Collected in ZIP file. I have a youtube channel and i would like to reference your apps in my live broadcasts. May i do so, i will link to you whenever i do. It is a honor. Please do what ever you want. Hallo Walter. Vielen Dank für deine phantastische Arbeit. Auch ich baue das Sundial zusammen mit meiner Tochter! 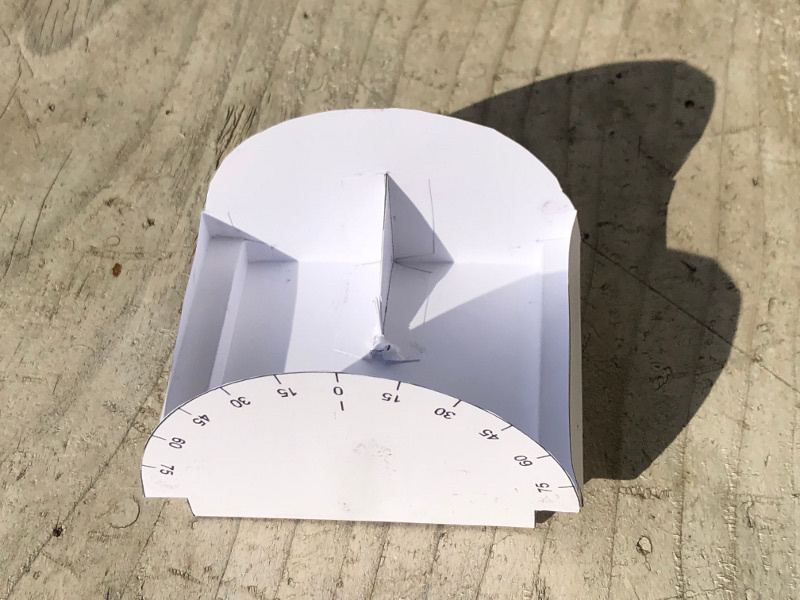 If crafts aren't your thing, tracking any pointy object's shadow on the equinox can prove the globe, because the shadow track will be a straight line. 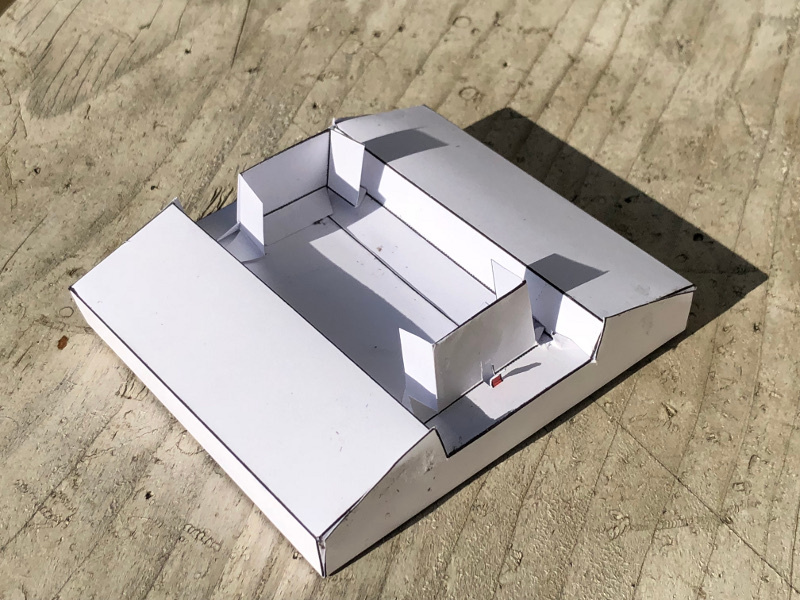 Put your camera on a tripod and film a time lapse of a lamp post, or fix a pencil in a somewhat upright position above a level sheet of paper and use another pencil to track the tip of the shadow, the result will be a straight track on the equinox. If the Earth was flat, the track would be a partial circle on every day of the year. Have made the sundial and it's amazing! Just tried it in UK and 4 days before the equinox it clearly shows the shadow of the sun on the equator! Brilliant. I wonder if any FE believer will make this. Hope there will be sun on the 20th be even now it shows how it proves a globe. Thank you for such a brilliant design...very clever.